Dear world: I’ve decided to rebrand as Danny K, my original title. I do this for my Creator, for my family, and for my home countries, Syria & Armenia [The Middle East at large – Falastin], for my grandfather’s legacy of ingenious, and finally, perhaps selfishly, for myself. 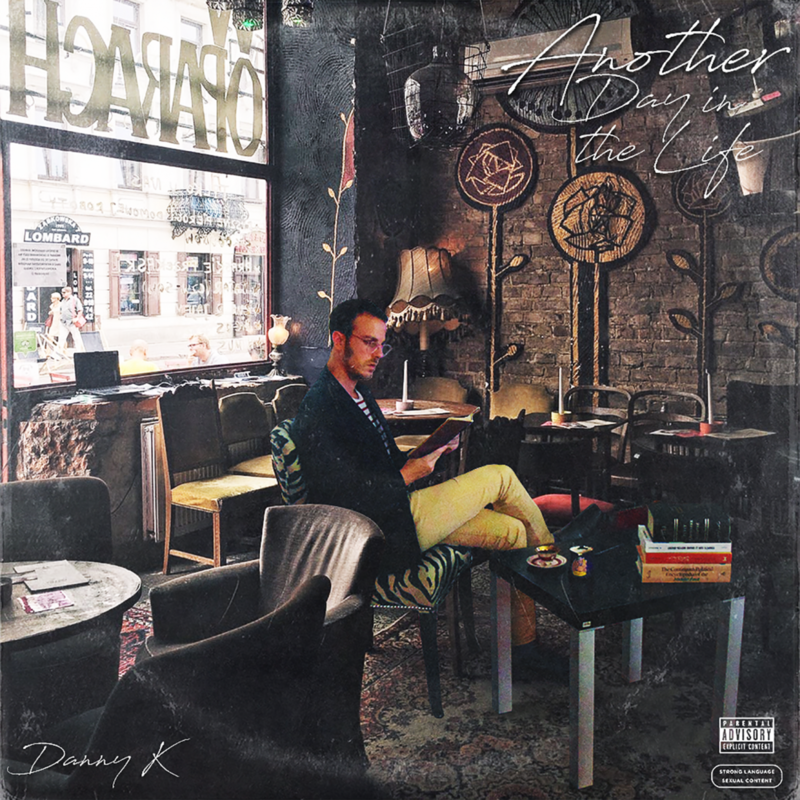 From now on you can follow me on all social media outlets [Twitter, Instagram & Facebook] via @dannyk1988/@dannykrikorian. It will be available via Spotify, TIDAL & Apple Music/iTunes – this September. Stay tuned for more updates. Show dates TBA. Visit the store to purchase new shirts for the upcoming album & to preorder a physical copy of the album itself. There are many avenues that need to be walked in order to improve the US domestically. The US is still a global leader, but socio-economically it lags in development, compared to its allies in Europe and its emerging competitors in the East. The progressive wave which swept Europe in the 90s and early 2000s seems to have missed the US. Obama’s legacy remains barely left of center, despite significant strides and accomplishments. Furthermore, China’s emergence as an industrial power and Russia’s assertiveness in the 21st century are signs of a need for the US to improve its position politically. So what should be on the agenda for the US domestically? Immigration Reform – This must be done comprehensively without leaving any behind and also planning for the future. Grant amnesty, permanent status to those currently living in the US, with discretion for amnesty based on level of hardship endured. Grant federal aid to all immigrants in US. Normalize their status. Establish better relations economically and politically with neighbors, particularly those from which immigrants flee. Tackle source of problem. Tightening borders not only won’t solve problem – it is a mere rhetorical campaign tactic to entice those with little education on the matter. Minority Rights – African & Latino-Americans, but also Arab and Asian-Americans have suffered disproportionately in the spheres of economics and political representation. Social, economic and political measures are necessary to elevate not just the plight but the status of minorities in the US to that of equal-standing with other social groups to balance out the playing field and ensure a robust democracy and free market for all – not just some. Military & Prison Reform – We spend too much money on our military. We execute and incarcerate more people than any country in the world. That includes China, the most populous nation on the planet. How could this be? Surely, the US’ history of racism has nothing to do with it…considering the majority of prisoners in the US are either African or Latino. We need to spend less on our military, jail less of our minorities, and de-institutionalize racism. This requires active government initiative in the realms of education and economic opportunity. Health & Climate – we need a conscious revolution in our expectations of quality and formation of national identity and culture. The US must advocate for cleaner diets and environments for its people. Furthermore, the US must learn to compromise the tradition of robust-industrialization with regards to its negative impact on the environment. Thoroughly embedded universal healthcare must be made accessible to all Americans. And what about in the realm of foreign politics? Disengagement – the US must return to its pre-WWI foreign policy of having almost no foreign policy. The US was isolationist, largely uninvolved in the world prior to the world wars. Interventionism in the post-cold war period has reached new heights, and caused greater setbacks for the US and the world altogether. More military disengagement, including of covert operations, would result in a more secure US. The US cannot expect to have its borders secure while it practically disregards the borders and national sovereignty of other nations. Instead of disrupting the balance of power, the US should seek to play a more even hand. It could thus focus less on entertaining the greed of its elite through foreign escapades, and more on distributing resources more justly, effectively and fruitfully. Overall Bernie Sanders is the best candidate because he benefits all those who are struggling, from economic equality, gender & minority rights, prison-reform & foreign disengagement – all of these fall within his scope. And all of these have hurt the US. As for foreign policy, he won’t do much. But that’s better than doing a lot – which is what his competitors and his predecessors have done – full military engagement or support for various forces. Bernie isn’t going to save America or the world. Particularly in the Middle East, his policies could prove naive – how would he manage Israeli aggression? 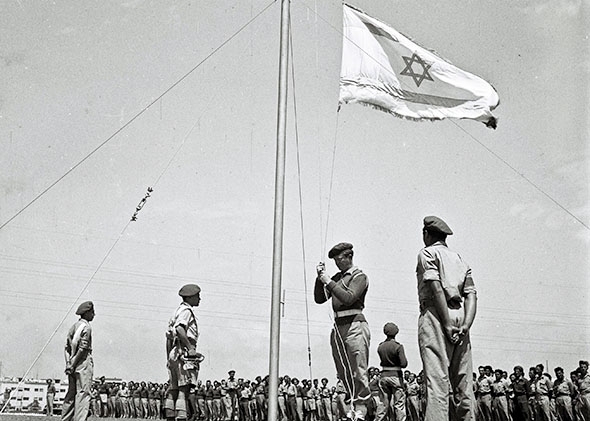 Furthermore, in light of the double-standard against Palestinians, can their self-determination be secured in the face of a relentless, expansionist Israeli state? What would happen in a Trump or Clinton presidency? How different are they, how similar? We would clash with all our “enemies” more directly: Iran, North Korea, ISIS, Venezuela, Hamas, Hezbollah & Syria. Obama’s legacy of reconciliation would be undermined, where as a Bernie Sanders presidency would be more in tune. If we focus on policy instead of rhetoric, we’ll see that both Trump and Clinton are hawkish. They are both angry about the deal with Iran. Both are unrelentingly pro-Israeli. America is at a cross-roads. Sure, we are always choosing between two sides, but this election, more than ever, is more polarized than ever. Considering the US’ immense influence over global affairs, blue or red tie in the White House often means the difference between inflated gas prices and high terror alerts. Is Bernie that much different from Trump and Clinton? Aside from the slogans, ideologies and rhetoric – how different are these guys? In domestic politics, greatly. In foreign politics…not so much. In fact foreign politics has almost taken a backseat to the economic crisis in the US. The sad thing is that the two are so-connected. Who do you trust most to deal with these realities? Take your pick. Bet you can’t guess mine! (Even though I can’t vote…which goes back to the need for immigration reform). Catch my drift? In Part I of his interview with BBC broadcasted in 2009, prominent rapper & social icon Jay-Z expressed his views on many contentious issues gripping the politics of America & the international community today. The photograph above is very significant to this blog entry. It is a picture of Kanye West & Jay-Z during their Watch The Throne tour throughout the US. The title of this blog, is the title of quite a meaningful song on the album: “We Made It in America”. The song laments on the grievances & legacies of the African-American people, as well as the African culture from which they were essentially kidnapped; & which continues be exploited today. The song is inspiring. The message too. Not only does it expose the crimes of the US against its own people, it expresses the genius of the African people, in the realms of art, music & culture. 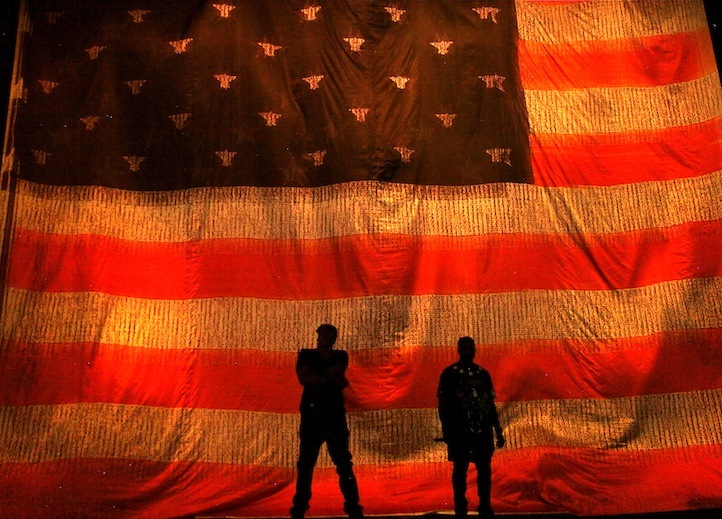 Watch The Throne, was a political masterpiece. A magnum opus. All the words fit. I felt like I was LISTENING to Plato’s The Republic. It’s the soundtrack, if indeed The Republic were a movie. Essentially the political undertones of Watch The Throne are echoing the socio-economic grievances of all disenfranchised, marginalized, gentrified & exploited minorities. The twisted sense of “individualism” in the Western culture justified the historic atrocity of the trans-atlantic slave-trade, which exists today in a more elusive form, such as police brutality, gentrification, disenfranchisement, mass incarceration, income inequality & unequal opportunities for minorities. These grievances are echoed by intellectuals of the 19th & 20th century, mostly non-American. I’ve listed a few examples below. George Orwell, famed writer of 1984 & Animal Farm, was a “democratic-socialist” who warned against capitalism & communism, arguing the two led to statism. Albert Camus, an anarchist, was sympathetic to communism but stressed that collective apparatuses might lead to corruption and statism. Any Rand, hailed by Conservatives, defines the epitome of the hypocritical dogma of anarchical-capitalism. A self-proclaimed anarchist, Rand proved she was not loyal to her own creed, as she relied thoroughly on state welfare & sponsorship from the state of Israel, inconsistent with her atheism as well as her free-market fundamentalism. It seems like the US & Europe despise socialist entities. Are we the devil or are they? While most fight for freedom for some, who fights for freedom for all? So what is the evil? It seems that hyper-individualism mirrors the tyranny of hyper-collectivism, both of which result in the exploitation of minority classes. Prominent African-American scholar Cornel West associates the suppression of Civil Rights with statism as well as capitalism. He argues that America is not a democracy, because it serves an elite class at the expense of the will of the people. Furthermore, West suggests that capitalism results in many of the imbalances in the economy that cause misery for the lower classes. I would argue, like 20th century German economist Fredrick List, that every successful nation-state adopts mixed economics combining state intervention with free market flow, which suggests that democracy & capitalism alone cannot guarantee the protection of individual rights. In many ways, democracy has engrained & perpetuated the tradition of exclusivity in the West which deems minorities, including blacks, latinos, arabs, gays, muslims & atheists are second class citizens, with little access to mobility in the economic ladder. Freedom, salvation & happiness are not products of capitalism, materialism or the intellectual dogma of hyper-collectivism. Rather, these virtues are achieved through humility, hard-work & self-reliance and the rest follows. Meanwhile, the power-hungry aim to deprive man of these freedoms, through propaganda & excessive force. How well do democracy & capitalism alone ensure these virtues? Historically, they’ve done as much as communism to improve the living conditions of the lower classes. Fundamentalists, be they religious or atheistic in essence wholly worship man-made ideologies that eventually collapse on themselves, such as the neoconservative model of hyper-capitalism exhibited by NATO countries or the police-like communism of the USSR. The association between the American & European traditions of suppressing & exploiting foreign countries is based in their logic of exclusivity. That is why 1% of Americans own America, while the vast majority remains living check-to-check. That is why, while the institution of slavery ended some time ago, the US remains at the top of the list for highest incarceration rates in the world, with the highest prisoner count than any other in the world. Yet, Iran is the great satan. Syria is the great satan. Venezuela. We go to war for oil & that oil never trickles down to the poor. In fact, it is usually the taxpayer funding all of this, against his will for the most part. It is times likes these when I begin to question the logic of ‘democracy.’ There isn’t even 1 single definition of democracy. It is a vague term that is thrown around. Most people think it means representative government. Some think it means majority wins. Others believe it means universal law. I would say one of the distinctive features are the electoral process & term limitations. Democracy, especially by the Right-Wing, is viewed as the protector & guaranteer of capitalism & free market competition. But in reality, it seems, like communism, only to concentrate wealth in the hands of an already established elite so as to convince the masses they are free, to sustain them for lack of self-sustenance & to thereby garner their support for all political/colonial initiatives. The free-market is not protected by democracy or capitalism, but rather, just as in communism, becomes held hostage to the ignorance of mass-minded forces of collectivism. The freedoms awarded to the elite are limited to the mass because of a fear of intimidation & competition. A lot of propaganda is aimed at trying to convince us (both capitalism & communism do this) that earth’s resources are scarce & need proper redistribution. But “exclusivity is the new N word,” said the courageous Kanye West during his most latest interview with Zane Lowe, in reference to the culture of hubris & bigotry that has disenfranchised all minorities & expressionists from the conversation of social justice. Dub FX NIKO IS & Talib Kweli Live in Berlin! Peep Talib Kweli spitting his verse from #FLOSSRemix produced by yours truly, KRIKOS!